The Rake is now one of a very exclusive few online retailers offering the most luxurious spirit in the world: Louis XIII, which consists of 1,200 eaux de vie. Louis XIII is housed in a unique, hand-crafted Baccarat crystal decanter and contains a blend of 1,200 eaux die vie. Early in the 16th century, the Warrior Pope, Julius II, commissioned Donato Bramante to build St. Peter’s Basilica in Vatican City. Julius died in 1513 and Bramante a year later, with the church’s foundations in their infancy. It took several popes, generations of able architects, hundreds of stonemasons, and 120 years until the majestic building was complete. 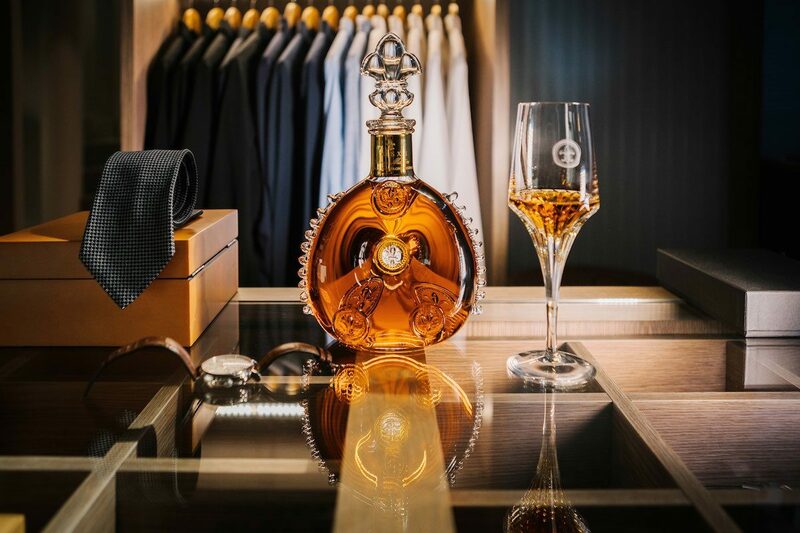 Founded in 1874, Louis XIII resides beneath the House of Rémy Martin umbrella, and through an amalgamation with the Cointreau family it is the Rémy Cointreau group’s most superior product and sans pareil in the cognac world. However, the house does not view Louis XIII as a cognac; rather, “it’s just Louis”. Akin to a champagne, a cognac can only be labelled cognac if it’s made in Cognac, a region in Charente, south-west France. This hallowed land, which caters to a gentle, rolling green, sun-kissed mirage of vineyards, is fed by the river of the same name. The area is split into six crus, which have been graded by the French government to determine the production of cognac’s quality. Louis XIII is built from grapes sourced from Grande Champagne — the bullseye-cru that contains four per cent of Cognac’s vineyards — whereas Rémy Martin sources its grapes from a mixture of Grande Champagne and Petit Champagne, for its varying expressions. The terroir of Grande Champagne is sacred, and the soft, limestone-based soil allows the Ugni blanc (or Trebbiano grape) vines’ roots to dive deep into the Earth and retrieve the vital nutrients. The result is a grape that is perfect for distillation and maturation. Following harvest in November, the method to make cognac is fairly straightforward, with the wine going through a double distillation in copper pot stills that are smaller than traditional ones. “We know that with smaller pot stills you have a better concentration of aromas,” Baptiste Loiseau, the Cellar Master at Louis XIII, tells The Rake. The result of this is concentrated; double distillation is a clear, fruity and acidic eau de vie. Thousands of eaux de vie then go through a stage of selection, whereby less than five per cent pass the test carried out by the Cellar Master. This is an indication of Louis XIII’s standards, of maintaining quality with an almost draconian culling process. This clear spirit then ventures on a pilgrimage that can last up to 100 years, carefully transitioning in and out of oak casks sourced from the Limousin forest. This changeover encourages and enhances the eau de vie’s complexity, depth, taste and colour. The most crucial stage, however, is the final blend. It’s at this point, within the confines of the laboratory, that 1,200 samples ranging from 40 to 100 years of age are individually tested and “blended together, as they are all so different”, Loiseau says. Amazingly, the youngest eaux de vie that Loiseau will blend are older than he is. It’s the role of the Cellar Master and his trusted team to create the blend that has to remain utterly consistent to the one made the year before, and the pressure of doing so is unimaginable. Eventually, all samples meet during the finishing period in a tierçon — a century-old Limousin oak barrel — where it can finally be called Louis XIII. It’s inside this precious relic of a vessel that the blend of 1,200 eaux de vie patiently wait for another four years in darkness before being transferred to the famous hand-blown Baccarat crystal carafe. There is no greater honour in the cognac world than being anointed Cellar Master at Louis XIII, and The Rake was recently given the honour of witnessing the first public appearance of the house’s four Cellar Masters amid the grandiose confines of Le Grollet, Rémy Martin’s family home. In the darkness of its cellars, three former Cellar Masters — André Giraud, Georges Clot, and Pierrette Trichet — and the current Cellar Master, Loiseau, debated, discussed and laughed about the strand of DNA they all must share. Giraud, the oldest but most lively of them all, moves and talks like a man half his age, yet the cheeky cognac veteran is 93 years old. 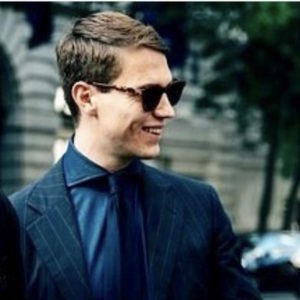 He told me at dinner that he was thinking about writing a book — never too late, I guess — and that he doesn’t drink wine, which is unusual yet endearing. Giraud joined the house in 1940, aged 16, and refers to his teenage self’s social status as a peasant. His father was Cellar Master, and his life is Louis XIII. After an exquisite dinner in the old distillery, prepared by Philippe Saint Romas — Rémy Martin’s private chef, who used to cook for former French president Jacques Chirac — we ventured back into the cellars. Loiseau, with a dramatic spotlight on him, pulled out a crystal pipette and removed the dusty cork from the holy ‘Chez Mariage’ tierçon. 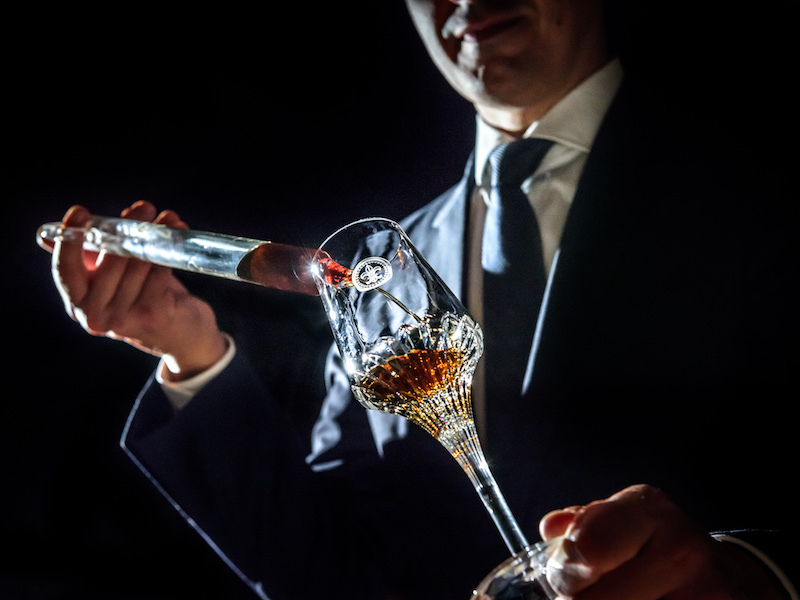 Carefully, and with Florian Hériard Dubreuil, the youngest active member of the Rémy Martin family, and his predecessors looking on, he inserted the crystal pipette into the 100-year-old cask, withdrew it, and presented each of us with a glass of freshly drawn Louis XIII. The Louis XIII “needs two more years to become harmonised, and when it’s the right time it will go into the decanter,” Loiseau said. Following instructions from Loiseau, we waited and gave the liquid time to breathe, slowly raising our glass to and from our nose so as to take in the aromas and experience a century of time through our nostrils. Only after 10 or 15 minutes did Loiseau tell us we could finally taste it. The most minute of drops, as instructed, fell into my mouth and then detonated, as if thousands of molecules of varying personalities were using it as a dancefloor. It was at that point that I fully understood Louis XIII’s potential, and what the trifecta of time, people and terroir can create. It was an experience to be cherished. It was emotional and enlightening, but the most striking aspect was the deep respect and admiration the Cellar Masters had for each other. It’s highly unlikely that these four legends will ever appear again in such circumstances. Loiseau modestly sees himself as “a guardian of this time”. Reflecting on the day’s events, I couldn’t help but think of the hard work of the tough-palmed winegrowers, the thousands of samples, the many years the eau de vie spent in darkness, and the unconditional love and care of the Cellar Masters, all of which had gone into making this humble liquid. I had sometimes been sceptical about the position Louis XIII affords itself in the market, and what could explain its price point, but not any longer. In terms of luxury, it is unsurpassable. Last year the brand collaborated with three “wonderful French houses who share the same know-how”, Loiseau says, to produce three unique creations called L’odyssée D’un Roi. Hermès produced a stunning leather case to house the uniquely engraved bottle; Saint-Louis contributed four glasses; and the ceremonial white gold pipette was crafted by Puiforcat, all to celebrate Louis XIII’s first voyage on the Orient Express. At auction, the trio fetched $558,000, with the proceeds going to The Film Foundation set up by Martin Scorsese. Only Louis XIII could justify such a special collaboration. Baptiste Loiseau carefully serving a glass of Louis XIII straight from a tierçon. Originally published in Issue 53 of The Rake.